What if the China Model Goes Bad? China’s economic growth has been remarkable. But continuing to rely on the notion of a benevolent dictatorship is a serious mistake. The deadly train collision in Wenzhou last month may put a dent in the ‘China model’ of economic growth, but the concept itself is likely to be enduring for two reasons – China’s remarkable achievements since the late 1970s, and the financial crisis that continues to ravage the West. Indeed, if Beijing handles the aftermath of Wenzhou properly, the tragedy may come to be seen as an example of Beijing’s ability to fix shortcomings in its own growth model. The term ‘China model’ is a Western invention, but has gained currency over the last half dozen years, both in China and overseas. Premier Wen Jiabao has actually said that China doesn’t see China’s development as a model for anyone, saying that all countries should choose paths that suit their particular national conditions. However, since the West has been laid low by financial crises in the United States and Europe, and with the Japanese economy stagnant for two decades, the so-called Washington Consensus of combining market economics with democracy has lost much of its appeal in many parts of the world, especially among countries with non-democratic governments. In addition, Beijing’s good relations with developing countries in general means that they will inevitably look to China – and its authoritarian government able to make decisions without interference from an elected legislature, opposition political parties or a free press – as part of their own modernization efforts. And, despite Wen’s reticence, other Chinese officials haven’t been slow to contrast China’s rapid development with the problems in the democratic West. Vice Foreign Minister Fu Ying, in a recent interview with Der Spiegel, pointed out that ‘at the moment it is the Western governments that are having problems.’ Why, she asked, have so many governments made so many mistakes? Why have political parties made commitments they can’t fulfil? And why do they spend so much more than they have? Democracy alone, she said, can’t put food on the table. She went on to indicate that democracy shouldn’t be necessarily be equated with a multiparty election system, a position shared by other proponents of the China model. It’s a view echoed by Thus Han Zhu, a research fellow at the Sinologizing Research Center, who says that the emphasis should be on good governance, not democracy. ‘Democracy cannot solve every problem. It is not the be all and end all of political structures, and it should learn from the experiences and advantages of other political systems,’ it concluded. How? Zhang says that some concepts, such as the idea that ‘good versus poor governance is far more important than democratic versus authoritarian government,’ might resonate overseas. And, on the face of it, this is an attractive idea – China certainly boasts a government capable of making major decisions that are frequently in the interests of the people. Last year was a tough one for Chinese dissidents. 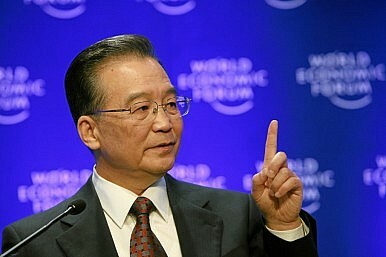 With the Communist Party keen for stability as the leadership transition unfolds, 2012 could well be worse.